The Arcadia Pivot is the Nation's number one outdoor shade solution. 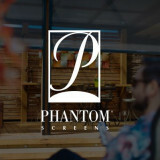 We at CoverMyPatio.Com are committed to providing quality products that achieve all your needs and are built to last. The Arcadia dealer network extends across the entire U.S. and Canada and can help customize a solution for you. Our automated system provides warmth from the Sun, Shade from the Heat and Shelter from the Rain. Open pergolas or lattice patio covers cannot provide 100% of the shade you want during the hot summer days, but they do allow for maximum airflow, as the warm air is released upwards out the open cover. Awnings provide 100% shade, or 100% light. Awnings can also block the amount of possible airflow you receive, and can result in a stuffy atmosphere creating a greenhouse effect in large areas. Our Adjustable Patio Cover system lets you enjoy the best of all worlds, all seasons. Our number one system, Arcadia, is dynamic and can be transformed according to weather conditions and your demands. This means that you are in charge of the amount of light and shade you wish to receive, including protection from rain or sun, while not missing out on a refreshing summer breeze. 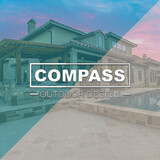 Cornerstone Outdoors offers some of the finest Outdoor Living Areas in the business. We take great pride in our craftsmanship and customer service. We treat each and every home as if it were our own, and will please each homeowner we run across. As the owner of the company, Brandon works along side of his crews to ensure the highest level of quality is achieved on every job. We offer free estimates and design ideas, so contact us today for your consultation. Granite Huggers is a 100% recyled granite company specializing in manufacturing earth friendly products to build a better, greener environment. By recycling granite remanants, we save billions of pounds of granite remnants from being dumped in the landfill each year. We partner up with local countertop fabricators in the DFW area to collect and recycle their granite remanants to produce stunning, eco-friendly products. Since our products are manufactured from 100% recycled granite remanants, you can earn points on the LEED rating system. As Seen On TV: Granite Huggers is featured regularly on Texas Flip and Move, a DIY Channel show. We are proud to be a part of the show and love being able to help the flippers get the most out of their budgets. We provide granite treatments, countertops, and more. 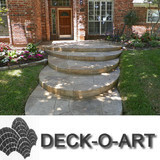 What services do deck and patio builders in McKinney, TX provide? To help you choose the ideal style, configuration and materials for your deck or patio, your deck and patio contractor will survey your McKinney, TX lot and your home to come up with a design that complements your exterior as well as being structurally sound. He or she will recommend sizes, heights and construction materials that suit your lifestyle and climate, as well as explain the best stain or finish options. Additionally, deck and patio professionals can provide insight into additional components such as outdoor kitchens, patio covers, fire pits, outdoor lighting, arbors and more. 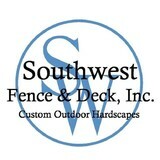 Your deck and patio professional might work closely with another McKinney, TX lawn and landscape professional. Here are some related professionals and vendors to complement the work of decks, patios & outdoor enclosures: Landscape Architects & Landscape Designers, Garden & Landscape Supplies, Stone, Pavers & Concrete, Landscape Contractors, Building Supplies. 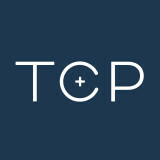 Find a deck and patio builder in McKinney, TX on Houzz.